I was asked to make favors for a small bridal shower by one of the bridesmaids. Cheryl sent me this picture of how she wrapped my soaps. 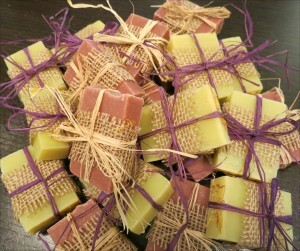 There are so many different ways to present my soaps and I love how creative she is.